Goals: as a political lobby and advocacy organization, we coordinate the various interests of our member organizations and measures to implement these interests. The Austrian Disability Council as an umbrella organisation represents about 80 member associations and about 1.4 million persons with disabilities in Austria. 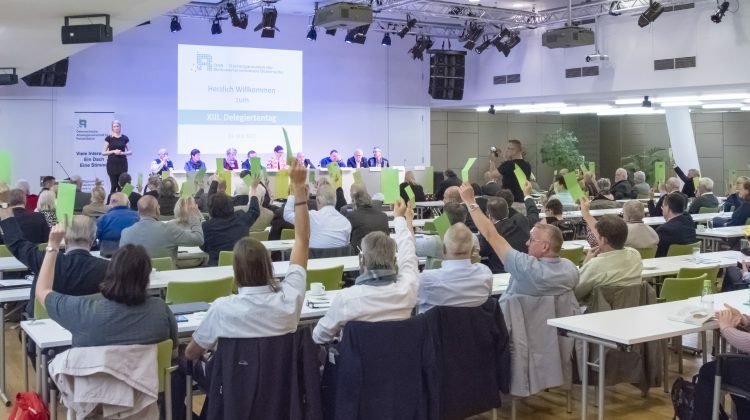 The Austrian Disability Council is politically independent and non-religious. We are offering a wide range of services to member organisations, individual members and partners. The main tasks of the legal department of the Austrian Disability Council are among others the appraisal of amendments to legislative acts, while taking the interests of our member organisations into consideration, initiating legal provisions, active participation during drafting of legal acts, negotiations with public authorities regarding the aforesaid and finally forwarded the pertinent information to our member organisations. The topic disability is politically highly relevant on European and on International level. European law and International Conventions strongly influence Austrian disability policies and Austrian law. Therefore, it is the opportune time for networking, lobbying and for pursuing common goals on a supranational level. The magazine ‚monat‘ , which is published four times a year, the Website of the Austrian Disability Council and the Facebook page, Twitter Page as well as regular press releases on political subjects are the main work priorities. A monthly E-Mail Newsletter is a regular service for our member organisations. Development and upkeep of various documentations (technical aids, specialised literature, social services and institutions) in connection with the existing documentations of various institutions and organisations. The preparation of political proposals and demands of persons with disabilities and consequently the attempt to realise these proposals and demands on the national and international level; especially in the areas of building and engineering, justice, labour market, social affairs, education and vocational training. Collaboration in numerous panels and commissions: for instance Standards Committees, the Vienna school authority, various panels in Federal ministries (education, social affairs etc. ), panels on long term care, panels of the Federal disability authorities, the Independent Monitoring Body for the Implementation of the UN-Convention on the Rights of Persons with Disabilities, the European Disability Forum (EDF) in Brussels etc. Contact to all scientifically active institutions, active in the area of disability relevant issues, for instance architecture, mechanical engineering, medicine, pedagogic, social-, political, information- and sports sciences. Thematic work on national, European and international level, for example non-discrimination, bioethics, barrier-free design, transport, accessibility of buildings, workplace, living, accessibility of products and services and much more. Barrier-free environment: includes, inter alia, the constant development of all Austrian building regulations, promoting accessibility of historical buildings, pavement chamfer, orientation aids for blind persons as well as communicative assistance, etc. The secretariat fulfils all administrative tasks forwarded by the representatives of the Austrian Disability Council. It is the point of call for all questions and problems, which are brought to its attention by the member associations, public authorities and by the general public. Its task is the co-ordination of all activities of the members of the board and staff members, as well as keeping the member associations and all staff members informed by means of personal contacts, telephone calls, the magazine monat as well as the homepage www.behindertenrat.at.